What you do after installing WordPress ? Start blogging or publishing content? No, don’t start blogging right away after installing WordPress. The default WordPress installation comes with some redundant content and elements that you should remove and you also need to add some extra functionality to your site. 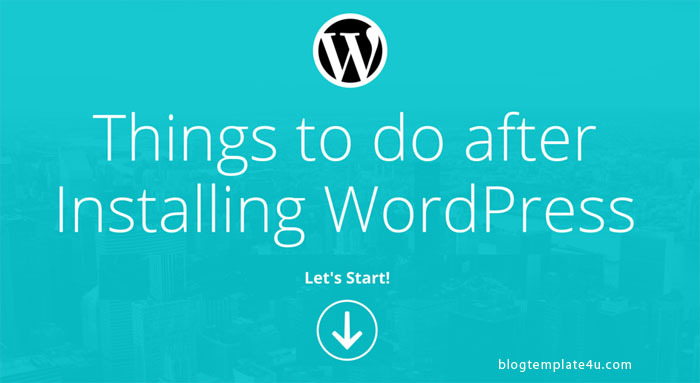 In this article, we will show you the important things to do after installing WordPress. Site title and tagline elements are displayed if you don’t have your website logo setup in your theme. Also, these elements are displayed on browser title bar. Similar to above elements, site icon(Favicon) is used as a browser and app icon when your users bookmark your web page. Site icon is typically saved as favicon.ico, must be a square with a least 16×16 pixel size. If you don’t set this, either WordPress or your hosting provider’s (such as Bluehost, InmotionHosting) icon would show up otherwise. Go to Appearance » Customize » Site Identity and change all the 3 elements. By default, WordPress uses UTC+0 as a timezone with language set to U.S English. Timezone is an important element to show the date for your blog posts and it helps in dealing with scheduling your posts accurately. You can choose a city from the drop-down list which is nearer to where you live or set by UTC. Search this wiki timezone page with your country name to get the right UTC for your site. Also, WordPress has a built-in capability to be displayed in any language. 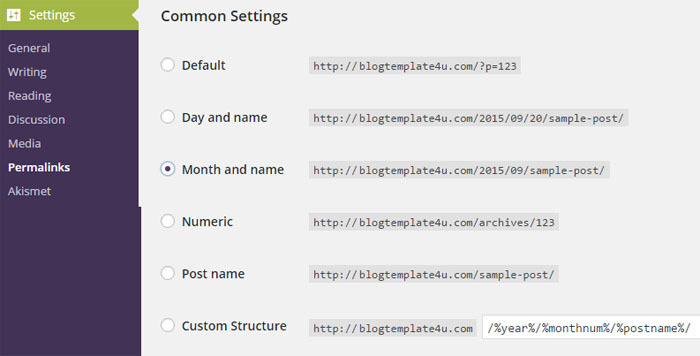 These settings can be changed easily in the WordPress dashboard settings option page(for WordPress 4.0 and above). Go to Settings » General and change these elements accordingly. Permalinks are the URL structure to your individual blog posts, categories and tags etc. By default, WordPress uses Default or “Ugly” URL structure which contains question mark and post ID or numbers. It works on all environments, but it doesn’t look nice and also not search engine friendly (i.e for Google, Bing). So with that reason, you should definitively change your site URL structure. Go to Settings » Permalinks and there are many options you can come up with. The most versatile are either “Month and name” or “Post name”. Select your preferred structure and save the changes. By default, WordPress comes with one demo post content with a title “Hello World”. You will want to delete this, otherwise the post will get indexed by search engines. Go to Posts » All Posts and move the “Hello World” post to trash and delete it permanently from trash folder (Trash (1)). Once you delete the post, a comment associated with that post will also be deleted. Similar to post, your WordPress installation also comes with a sample page. You should delete this as well. Go to Pages » All Pages , trash the page and empty your trash folder(Trash (1)). By default, WordPress installs current and all the earlier version of Twenty series themes (i.e Twenty Thirteen, Twenty Fourteen & Twenty Fifteen etc). If you are not using any of the installed themes, just delete them. It will create an unnecessary task for you to update them and not updating them can create a security issue and performance impact on your site. Go to Appearance » Themes . To delete any particular theme, hover on it and click “Theme Details”. After that, another page will open and the option to delete the theme will be available as shown in the above screenshot. I would recommend you to themeforest if you are looking for premium WordPress themes. By default, WordPress comes with two plugins installed – “Hello Dolly” & “Akismet”(this will be discussed in the next point). “Hello Dolly” is for those who love songs and once activated you will randomly see lyrics from Hello Dolly on every page of your admin dashboard. You should delete this plugin if this is not something very useful for you. Go to Plugins » Installed Plugins and delete “Hello Dolly” plugin. Below are the essential FREE plugins for WordPress users. 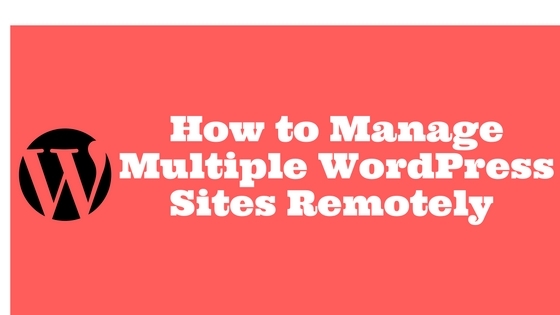 You must install them for better user experience, to safegaurd and track your WordPress site. Go to Plugins » Add New. Search by plugin name and click on “Install Now”. Akismet is an anti-spam plugin developed by WordPress itself. This plugin is installed by default and very useful to combat spam comments. You need an API key to activate this plugin. It is free for non-profit / personal websites and you can buy a license for a nominal price to use it on commercial sites. There is another great free anti-spam plugin called Antispam Bee, if you don’t want to pay for Akismet. Make sure you use anyone of these plugin. Most of the hosting provider’s are now optimizing their servers with multiple data centers and better-peering exchanges, such as max speed zone offering from inmotionhosting. By just signing up to their business/shared hosting plan, you would noticeably get a faster WordPress site. But they don’t take care of many aspects of your website such as optimizing theme and plugin files. So we need a good cache plugin to do that task for us. Cache plugins further help in speeding up your site. It takes the load off your server to prevent your site from crashing during heavy traffic, which is very useful for SEO. Also, you can integrate content delivery network (CDN) such as maxcdn (premium) and cloudflare (freemium) easily. Below are the two popular cache plugins available in the plugin directory. W3 Total Cache – This is a most popular cache plugin available on WordPress. The plugin comes with many features and options that you need to setup after installing the plugin. So make sure you know what you are doing before hitting the save changes button, otherwise it may have a negative impact on your site load time. WP Super Cache – This cache plugin is perfect for beginners as it is very easy to start with. Simply install the plugin and turn on the caching. Your site should now be loading much faster than before. There are many other options available in the plugin options page, just be sure before selecting and hitting the save button. SEO is an important element of any website and helps you in optimizing your site for search engines. The SEO plugins put some basic search engine optimization in place. You still need to create a quality content for your site if you would like to go further one step with SEO. The best SEO plugin available for WordPress user is Yoast SEO. You can easily use and setup this plugin. The plugin has a new feature called Search console, where you can see the Google Search console errors for you to fix. It also generates XML sitemap which you can submit on Google and Bing. Analytics plugin is mainly used to track the statistics for your website. It provides in-depth post and page performance right in your WordPress dashboard. The top analytics plugin available for WordPress user is Google Analytics by Yoast. You will first need to sign-up with Google Analytics service and add your website. Once that is done, authenticate it within the plugin options page and select the site you want to track. Social share plugins allow your visitors to share your content on social networks and increases readership. Mashshare is a very nice social share plugin from which you can setup Facebook, Twitter, Google+ and many other social network buttons. Backups are very important part of your website. You need to keep a regular backup of your files and folders to keep ready with any web-based attack on your site. BackWPup is the free plugin you can use to store complete backup and scheduled backup of your website to an external cloud service like Dropbox, S3 etc. These steps are the most critical to any WordPress beginners and you should be keeping your WordPress ready with this checklist as soon as you get a new WordPress installation. If you liked this beginner’s guide, then please subscribe to our newsletter for FREE blogging tutorials. You can also subscribe us on social networks.